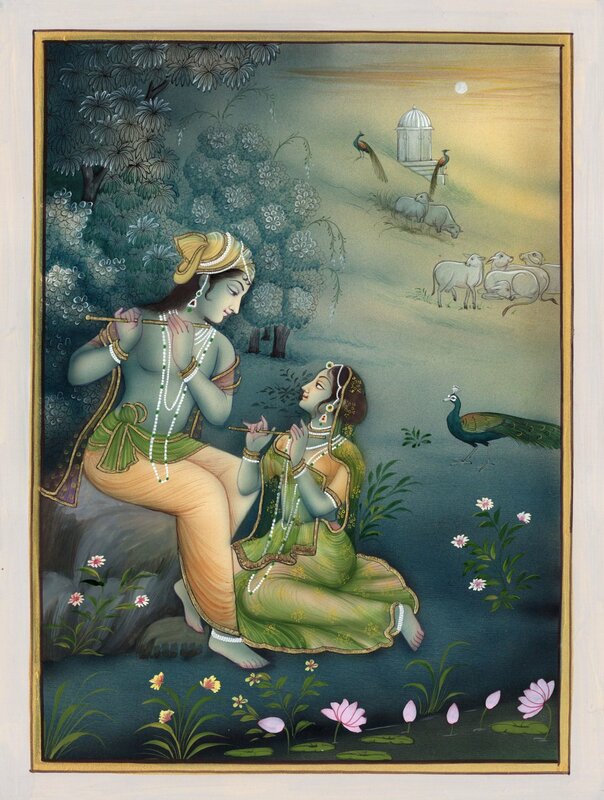 Fill your home with the beauty of this exquisitely detailed & stunningly beautiful hand-made painting. Lord Krishna and Lady Radha will delight family and friends and deserve a special place in your home. It’s also a great way to spread happiness as a thoughtful gift for anyone who loves Indian Art and the beauty of the love of God as personified by Krishna & Radha. For earliest possible delivery, don’t delay. Order today! !